Wide receiver Stefan Logan has been named NFC Special Teams Player of the Week after his Week 5 performance against the St. Louis Rams. Logan broke for a 105-yard kickoff return for a touchdown to begin the second quarter, inevitably igniting a 44-6 win. 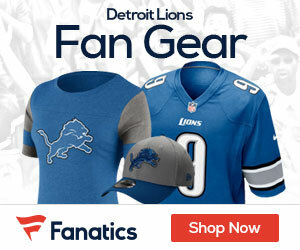 He is the first Lions special teamer to be named NFC Player of the Week since kicker Jason Hanson earned the honor during Week 8 of the 2007 season. The last Lions kick returner to get the nod was R.W. McQuarters in Week 5 of the 2005 season. * Logan’s 105-yard kickoff return tied for the longest kickoff return in team history. He tied CB Terry Fair who recorded a 105-yard touchdown September 28, 1998. It was the first kickoff return for a touchdown since TE Casey FitzSimmons returned an onside-kick 42 yards for a score vs. Chicago October 28, 2007. The last non-onside kickoff return for a touchdown by the Lions was WR Eddie Drummond’s 92-yard kickoff return for touchdown at Minnesota November 21, 2004. * In League history, Logan’s 105-yarder is tied for the sixth longest kickoff return for touchdown. * He also recorded 2 punt returns for 24 yards, including a 17-yard return in the third quarter that set up a Lions touchdown drive that began at the St. Louis 41-yard line. * Logan is also a member of the team’s kickoff cover unit that allowed just an 18.3 yards per return average on 9 returns.